The relationship between users, plans, fees, and bands is shown in Figure 40. A plan may have attached to it zero, one, or more items of service data. Each plan must have at least one payment option (fee) that defines how often the system charges for this plan. This fee needs to include, at minimum, the payment schedule on which the fee will be charged ( also known as the ‘period length ‘, and generally set to be 1, 3, 6, or 12 months), a one-off registration fee (initial fee), and the actual amount to be charged regularly (charged per period length). If you make a plan which has no fees, and then attempt to view this plan on the list of potential plans on the ‘Add New User’ page, this plan will not actually be shown. This is because a plan is not really ‘ready for use’ until it has at least one fee attached to it. A plan with no fees has no billing period and will never be billed – so it shouldn’t be be possible to sign a user up to such a plan. On the other hand, a plan doesn’t actually require any bands in order to be ready for user sign-up, because we may actually want to make a plan which doesn’t charge differentially for different usage levels. Thus, plans with no bands attached are still shown in the ‘Add New User’ list, so long as they do have at least one fee. 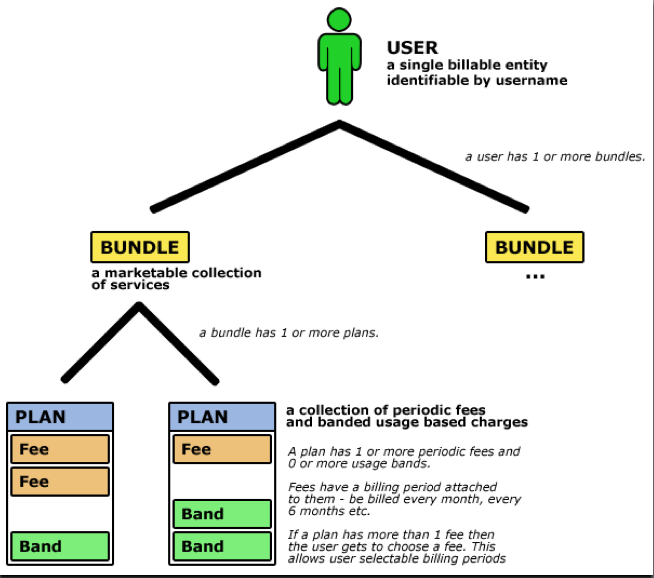 Figure 40: The relationship between users, bundles, plans, fees, and bands. Service data is not shown, since it doesn’t relate directly to the billing process.